It happens to me all the time…the stranger standing next to me in line at the post office or grocery store sees the 4-H emblem on my shirt or name tag, and say “I’ve always wondered what the four “H’s” in 4-H stand for.” Many people would be surprised to find out that originally, there were only three “H’s.” O. H. Benson designed the first emblem in 1907 as a three-leaf clover with three “H’s” signifying head, heart, and hands. 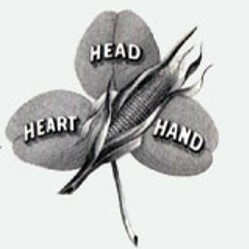 A four-leaf clover design with H’s appeared informally around 1908 with the fourth “H” standing for “Hustle.” In 1911, during a club leader meeting in Washington, DC, leaders voted to adopt the fourth “H,” Health. 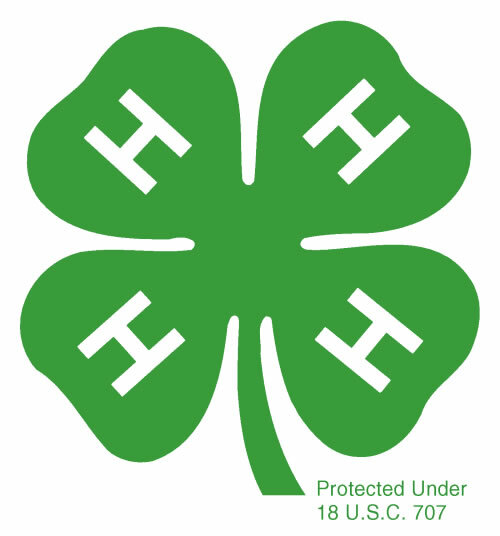 This emblem was patented in 1924, and in 1939 Congress passed a law protecting the use of the 4-H name and emblem. This emblem continues to be highly valued and recognized on our country today, and because of that it became a federally protected mark, more valuable than a trademark or copyright. Similarly valued emblems include the Olympic and Presidential Seals. The “18 USC 707” that is written below the stem of the emblem outlines the United States Code that protects the emblem. Today’s emblem, protected by Congress. Watch celebrity Aubrey Plaza explain what the four “H’s” mean by reciting the 4-H Pledge on national television. 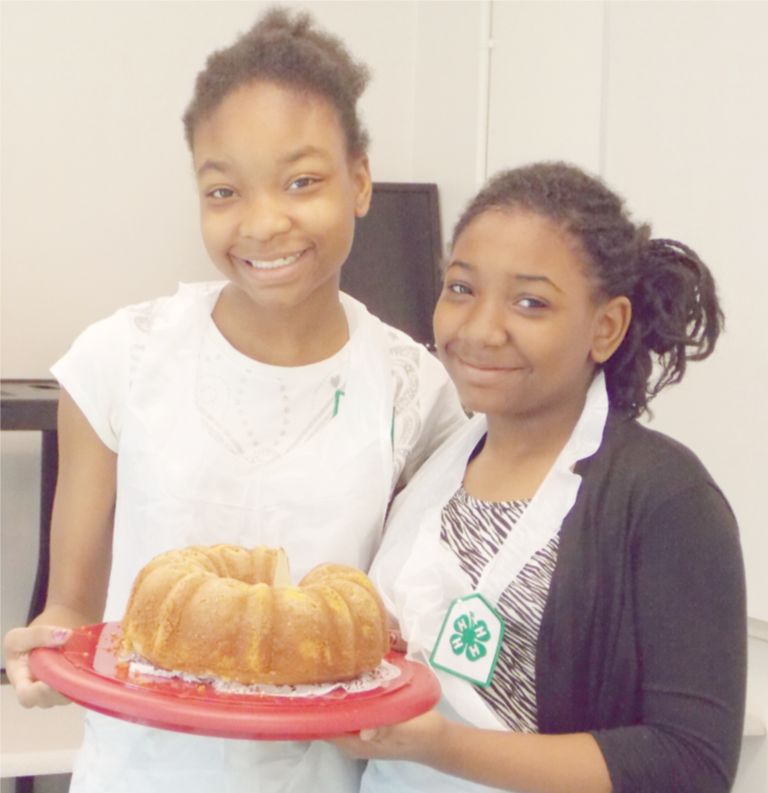 Nostalgic about 4-H and want to introduce the next generation of youth to the program? Consider becoming a 4-H volunteer! Florida 4-H offers a wide variety of roles to fit both your interests and schedule. Contact your local UF IFAS Extension Office or visit http://florida4h.org for more information. This contest teaches youth about meat science, food safety and communication skills. Tailgating. The smell of charcoal in the air. Cooking over a hot grill. Earning lots of scholarship money? 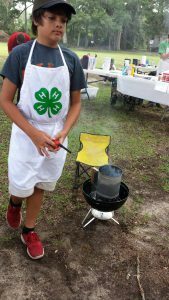 The Florida 4-H Tailgate Contest completed its first year in 2016, giving out over $15,000 in scholarship money to 4-H members. This was made possible by sponsorships from Winn-Dixie, National Beef, and Sonny’s. In 2017, Sanderson Farms joins the list of sponsors for this statewide event. While earning scholarship money is great, youth also learn many valuable life skills in the art of grilling. A curriculum series was developed (see below) to help youth learn about fire-building, meat selection, cooking safety, smoking and slow cooking meat, and cooking equipment. 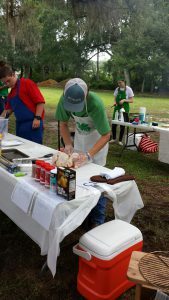 The Northwest District has been very proactive in hosting different tailgate and grilling day camps throughout the panhandle to further youth learning. Youth demonstrate their knowledge during the district and state contests, and can win a college scholarship. The Florida 4-H Tailgate Contest allows youth to grill two 6-8 ounce portions of one of the following proteins: beef, pork, poultry (half chicken or turkey breast), and headless, deveined, fresh shrimp. At each contest, judges will observe the food and fire safety of each participant and ask students questions about their recipe and safety knowledge. A team of judges will then evaluate the cooked product. There are four contests hosted throughout the state including the South contest at 4-H Camp Cloverleaf, the Central contest in Dade City, the Northeast contest at the UF Horse Teaching Unit, and the Northwest contest held at the Washington County Fairgrounds. After youth compete at the local county contests/day camps, they can register for the district contest. The Northwest contest will be held on July 22, where the first place winner in each protein category receives $400, second place $250, third place $100, and fourth place $50. The top two winners from each protein area at the district contest are then eligible to compete in the state contest held at the University of Florida on October 14, 2017. For the state contest, the first place winner in each protein area receives a $1,500 college scholarship and the second place winner receives a $1,000 college scholarship. We hope to see you at one of the many grilling opportunities offered throughout the Northwest District this summer through 4-H! 4-H Judging Contests, like horticulture identification, teach essential life skills for work and personal success. Horticulture is one of our state’s leading industries, and for decades, the 4-H Horticulture ID contest has helped youth learn about this industry and demonstrate mastery of horticultural identification skills. Even if a youth does not pursue a career in the horticultural industry, learning the material for this contest can benefit them in other ways. To learn more about how judging teams teach workforce skills, check out this previous blogpost. This year, the State 4-H Horticulture Judging Contest received an extreme makeover, to expand the program to even more youth. The state contest was held this past Saturday, June 10th at the Hillsborough County Extension Office in Tampa, FL (previously, the contest was held in Gainesville during 4-H University and was only open to 4-H seniors). For the first time ever, the contest is now open to youth between the ages of 8 and 18 (juniors, intermediates, and seniors). Study materials were adapted and revised to be age appropriate, and a webinar for coaches was offered. The webinar was archived and can still be viewed by anyone interest in coaching a team. Judging classes (youth look at a group of four fruits, plants, vegetables or nuts and rank them from best quality to poorest quality). 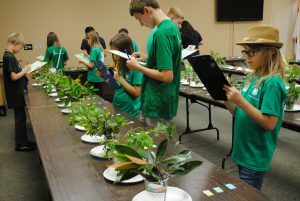 The contest is organized by a group of University of Florida Extension Specialists and volunteers. In addition to the resources online, youth can contact their local Master Gardener Program through their local UF IFAS County Extension Office for support. Many master gardener volunteers are willing to help teach plant identification, and may be willing to serve as a coach for your club. In fact, Master Gardeners can earn bonus points towards their state contest for helping 4-H clubs and teams prepare! If this program interests you, sign up for 4-H! 4-H is open to youth ages 5-18. 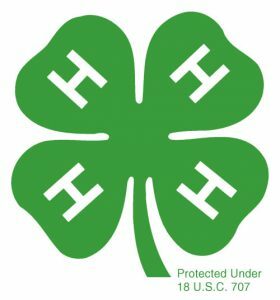 Adults can join 4-H as volunteers. 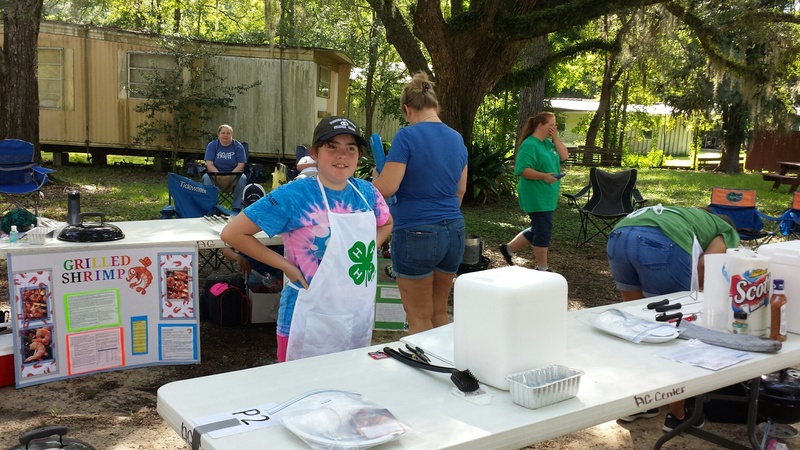 Florida 4-H offers a variety of volunteer roles to fit your specific interests, skills and schedule. For more info, visit http://florida4h.org or contact your local UF IFAS County Extension Office. I will never forget the day Kheica and little sister walked into the Jefferson County Extension Office interested in doing a 4-H Demonstration at County Events. Two shy and very timorous little girls. Perhaps they could organize their presentation, but the thought of presenting it in front of an audience- no way! They proved me wrong. They organized their demonstration and presented it at County and District Events. Receiving both blue 1st place ribbons and blue quality rosettes. Since her demonstration at age ten, Khecia made a lasting impression in Jefferson County 4-H. She embraced 4-H slogan “Learning by Doing” wholeheartedly as a member. As a junior and intermediate 4-Her, Kheica was a member the Elite Sewing Club. She also served as president of the Jefferson Elementary School Clubs (both 3rd & 4th grade years). She also participated in consumer choices judging contest and received the highest individual score at the North Florida Fair. As a senior 4-Her, Kheica served as president and vice-president of the Jefferson County Teen Council. Last year, she participated in general public speaking at the county, district & state levels. 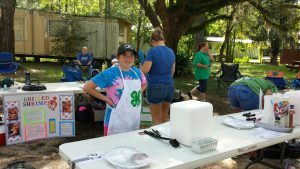 This year Kheica will be doing a team demonstration at 4-H University entitled: Creamy Shrimp Linguine. She served on the 4-H NW Teen Retreat Planning Committee. This summer will also be her fourth year as a camp counselor at the day and overnight summer camps. 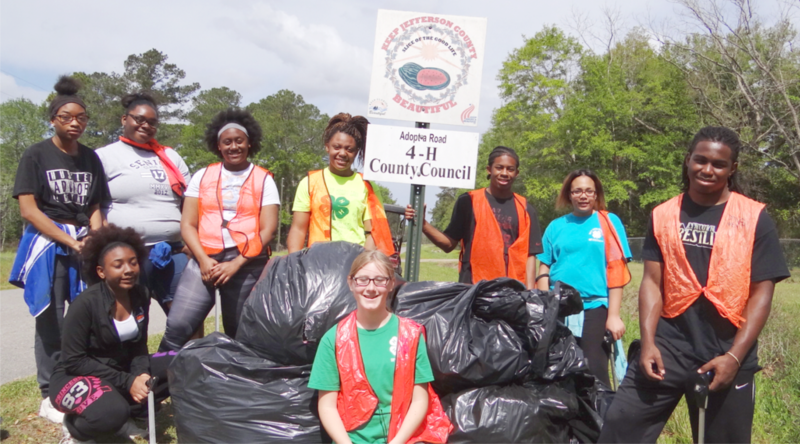 Khecia has helped plan several community service projects, including a roadside clean-up this spring. Giving back to her community is paramount to Kheica. She has accumulated over 400 hours of community service hours from roadside cleanup, the 4-H Nature Trail Clean up, northwest Florida service project (Chemo Kits for Cancer Patients), nursing home visits, and landscaped the senior citizen center. When I asked Kheica what life skills she learned that she attributes to 4-H, she shared: “I have learned life skills such as teamwork, dedication, and perseverance. 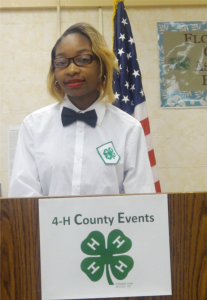 I have also learned the important of community service.” Kheica said her most memorable moment as a junior 4-Her was participating in 4-H Tropicana Public Speaking and doing her demonstrations at County & District Events. Khecia Jones, an exemplary student, achieved top honors as Valedictorian of the 2017 graduating class. After graduation, she plans to attend FAMU on a full scholarship and major in Biomedical Sciences. If you are interested in joining 4-H to learn leadership and communication skills, or if you would like to help teach youth in your community as a 4-H volunteer, contact your local UF IFAS County Extension Office or visit http://florida4h.org.